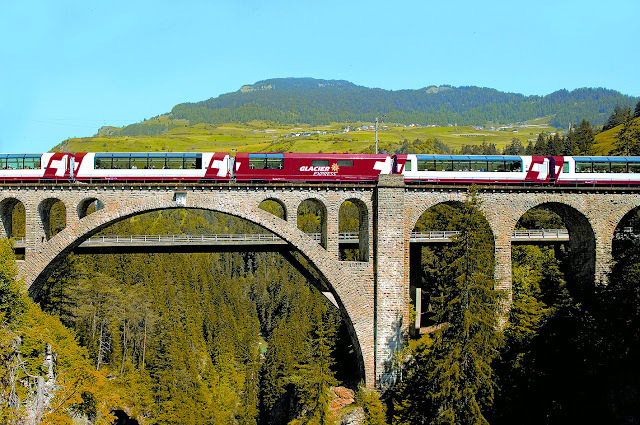 The Glacier Express in Switzerland. Photo by Martin Kers and is the property of Eurail. Unauthorized use is prohibited. As you know by now, my love affair and passion for travel on Europe's rivers and rails runs deep as told in my Viking River chronicles and my adventure aboard the overnight train from Florence to Paris. Which is why when I found out about a new book that recounts one man's InterRail journey in Europe, I was bursting with excitement and had to find out more about this young man's travelogue. Český Krumlov in the Czech Republic. Photo by Martin Kers and is the property of Eurail. Unauthorized use is prohibited. 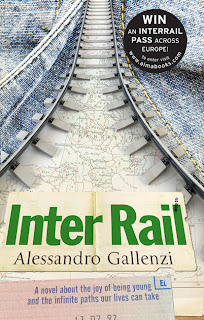 At the same time, I received an email from Alma Books inviting me to participate in a promotion for the new book entitled "Inter Rail" by Alessandro Gallenzi; and they asked if I would be interested in an article written by the author for EuroTravelogue. As you can imagine, my response was an unequivocal and absolute yes! Plus, I would have access to some amazing images as well. 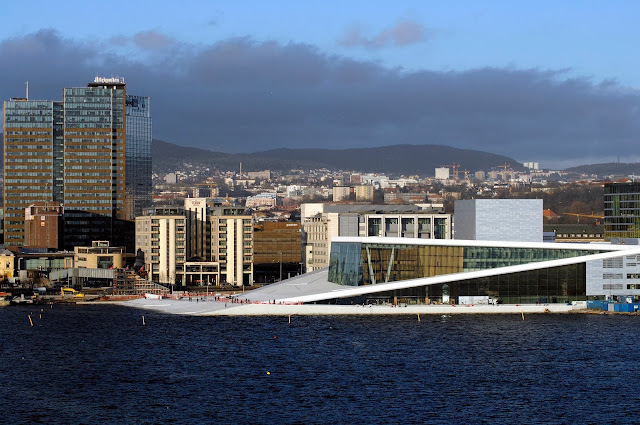 In exchange for a copy of the soon-to-be-released title and the author's guest post, I promised to post his article on my site and promote Alma Books' sweepstakes; plus a EuroTravelogue sweepstakes, both of which have now ended. 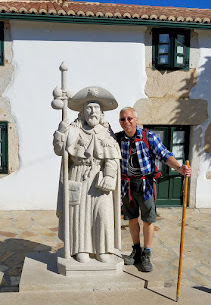 I believe Alessandro's inspiring story will resonate with all of you as do similar accounts of my "journeys along the way" that you have read on EuroTravelogue! 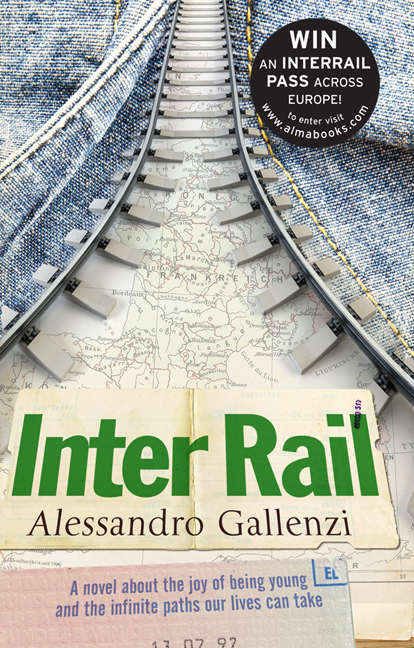 Without further ado, I introduce my guest author Alessandro Gallenzi who shares his inspiration for "Interrail" which releases next Wednesday July 25, 2012. You can read more about Alessandro and the sweepstakes at the end of his inspiring tale. I hope you enjoy this brief introduction of something soon to become a longtime favorite. 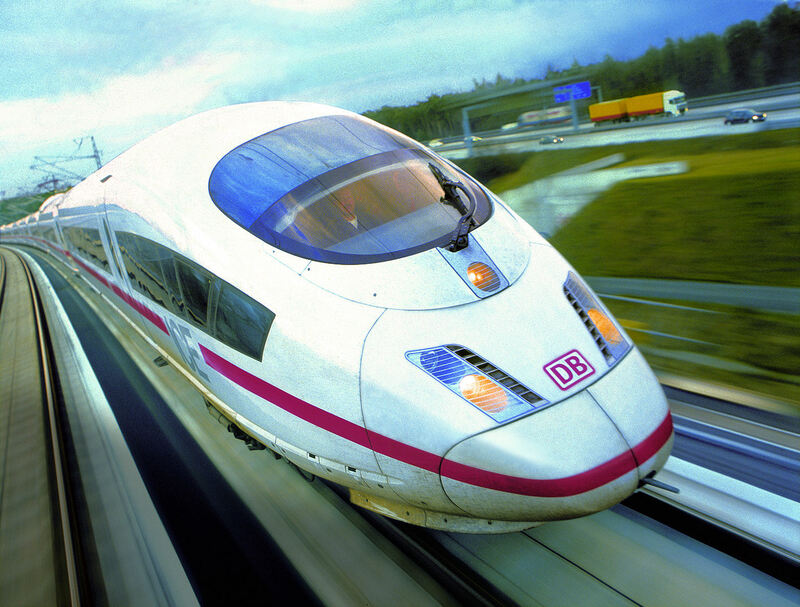 High speed ICE train at full speed in Germany. Photo property of Eurail. Unauthorized use is prohibited. Travelling by train has always been my favourite means of getting around, and trains have played a decisive role in many moments of my life. I jumped on a sleeper once to break up with my girlfriend the following morning five hundred kilometres from home. And the moment I knew I loved my future wife was when I saw her walking towards me out of a crowd of anonymous passengers at Stazione Termini in Rome. But the single most important experience in my youth was when I set out on an InterRail trip in the summer of 1992. I was twenty-two years old, and it was my first real foray outside Italy. I was supposed to travel with a friend of mine, Massimo, but he bailed out on me at the very last minute, so I had to pluck up courage and leave on my own – on a journey that was as much one of exploration as it was of self-discovery. Twenty years and many journeys later, with middle age round the corner and a solid life stratified around me – a wife, two kids, full-time work, a car, a mortgage – it is with a touch of nostalgia that I look back on that life-changing trip. And I tried to capture some of its romanticism, the sense of freedom, novelty, unpredictability, in a novel which uses a train journey as a frame for a picaresque journey through Europe. "InterRail," which is published next week, is intended to be a celebration of being young, of still being able to mould your own future, of not having to worry about the “thorns of life” – of getting away from your comfort zone, from your parents and from the narrow bounds of the place you have been living in so far, perhaps unquestioningly. "InterRail," in short, is a metaphor of life itself, of having to make constant choices and be prepared to jump from one train onto another. I wanted to show how the experience shapes a young man, how it teaches him many different ways of life across the various countries, and how he meets with love, danger and disappointment. I hope this book will inspire readers on all their future journeys, and prompt them to break away – at least for a while – from their habits and routines. Swiss station. Photo by Martin Kers and is the property of Eurail. Unauthorized use is prohibited. 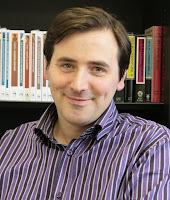 Alessandro Gallenzi is the founder of Hesperus Press, Alma Books and Oneworld Classics, and the successor of John Calder at the helm of Calder Publications. 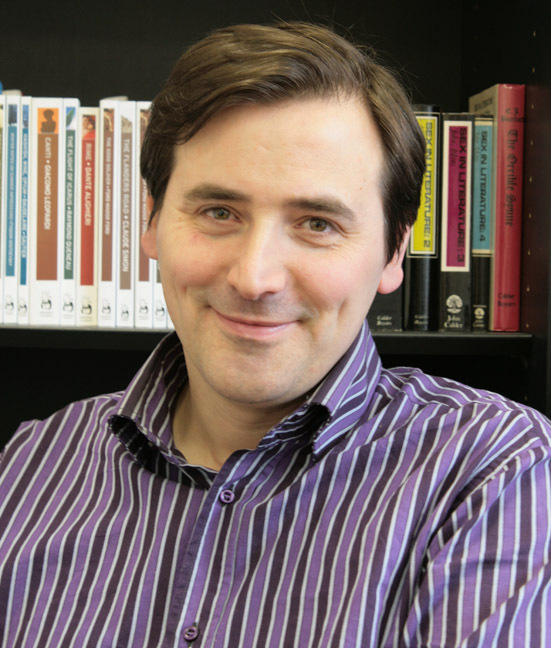 As well as being a literary publisher with over 10 years of experience, he is a translator, a poet, a playwright and a novelist. His collection of poetry Modern Bestiary—Ars Poetastrica was published in 2005 to critical acclaim. He lives in Richmond with his wife and two children. A most spectacular view of Switzerland from the panorama car aboard the Bernina Express. 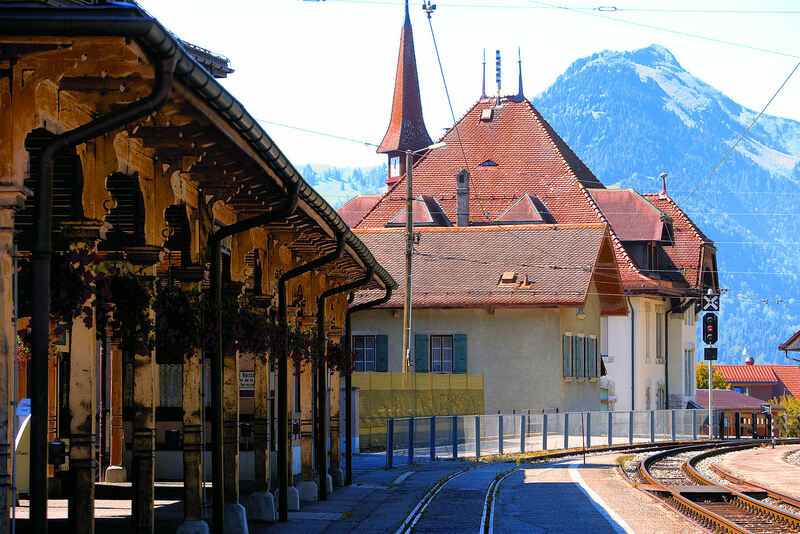 Photo property of Eurail. Unauthorized use is prohibited. EuroTravelogue "InterRail" Sweepstakes (Ended and our winner will be announced soon! In the comments below, share your inspiring tale of a past, present or dream of a future journey on InterRail. Once again, Alessandro will read through your comments below and select the winner who will receive a copy of his new book "InterRail." Remember, you must be over 18 and a European Union resident to enter. If you live outside the EU, please feel free to share your comment anyway. I would love to hear about your experiences on InterRail. Good luck and thank you. EuroTravelogue's winner will be announced in August 2012 so please check back periodically for the big news or feel free to send me an email at JeffTitelius@gmail.com and I will let you know. Adventure of overnight train travel in Europe..
Postcard tour through Potsdam, Germany via Simon at WildAboutTravel.com. I'm reading this book right now! I love how he just showed up at rail stations and took off without any plans. I too love traveling by rail but have never just showed up at the station and hopped on the next train to "who knows where". This would be a grand adventure! Thank you so much Debbie for stopping by to share your thoughts! Wow, you already have a copy of this. How wonderful for you! I find the spontaneity of his journey so alluring and captivating, I just can't wait to read it! Thx again my friend. What a cool idea for a book! As a European resident, I'm enbarraased to admit that I've never slept on an InterRail train (I end up flying instead) even though I like taking the train, so that's what I would do if I won - book overnight journeys on the InterRail and spent more time looking out the window instead of burying my head in a book! Hi there Laurel and thank you so much for stopping by to share what you would do with the InterRail pass should you win. Good luck my friend! 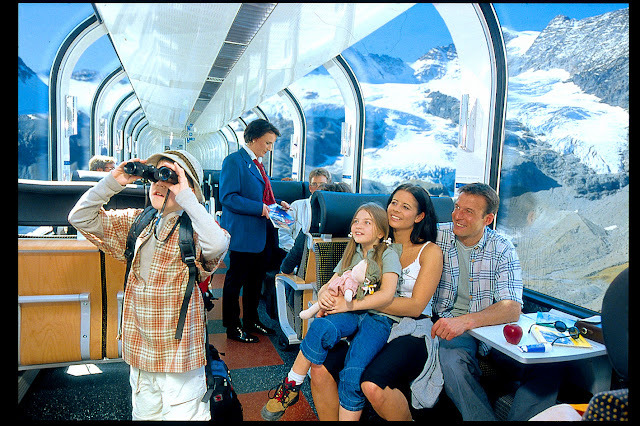 Nice post - I have never traveled on the Glacier Express. However, I love traveling by train in Europe, because it is so much more relaxing than driving. Thank you so much Christine for stopping by to share your thoughts about train travel. I couldn't agree with you more. Plus, just to sit back and take in all the spectacular scenery passing you by is amazing. Thx again. I love travelling by train. We choose train travel first and foremost. This looks like a fun way to travel. And I really would love to try the overnight train travel, as in a train hotel. Thank you so much for your entry Marlys! If I lived in Europe, undoubtedly it would be my preferred mode of transportation. There is something positively romantic and fascinating about train travel. I sure need to do more of it...all I have to do now is move there! And yes, overnight is the BEST!!!! Thx again. Oh, how I wish I was eligible for this competition! I've done some traveling by rail in Europe and hope that I get to do lots more. The photos is this post and Alessandro's words are making me itch to do it soon. Sounds like my kind of book -- I'll be checking it out. Hi there Cathy and I too, wish I were eligible for this! I love traveling by train especially my overnight journey from Florence to Paris...positively enchanting! Thx for stopping by and sharing your wonderful compliments about Alessandro! The photos are inspiring and Alessandro's book intriques, as well. Like Alessandro, I used trains extensively when I was younger with a good ol' Eurail pass but even that long ago, seats had to be booked ahead because they were often packed or sold out. Sometimes I got on, then got bumped off after a few towns when a reserved passenger got on. Lately I've been using rental cars in Europe but a few trips by rail have again been on very well-stuffed trains. I realize I'm generally speaking, but unless you have the time to risk disappointment or delay, or are taking routes well off the beaten tourist path, I don't think it's realistic in Europe anymore to just show up and pick a train, get a seat. Pity! 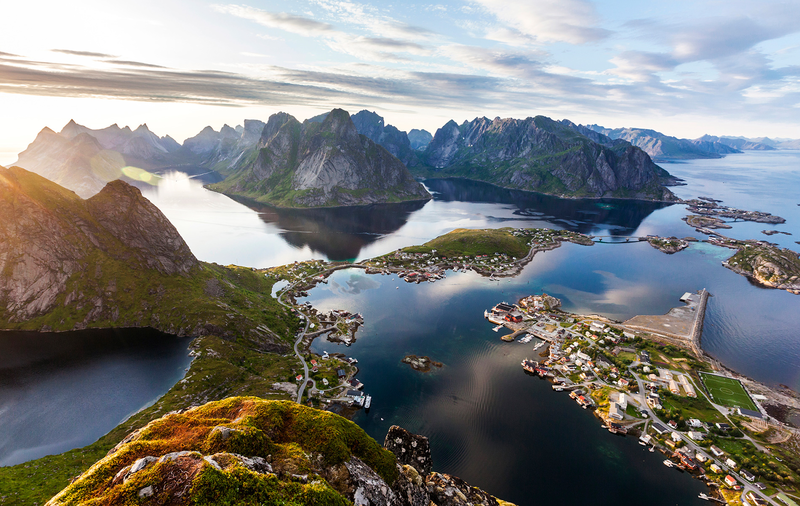 And all the more reason to seek out less-traveled routes. Hi there Lesley and thank you SO much for stopping by to share your thoughts and experiences! It is sad that the possibility to live such a a romantic and carefree life on the rails may be gone forever but I remain hopeful for that special someone who's brave enough to take on Alessandro's journey and experience the delights of not knowing exactly where he or she is going, for how long and who they will meet along the way. Such uncertainty is quite alluring if you ask me and what a dream it would be to do it all. Looks like a very interesting book and interesting to hear from an author the inspiration for his book. Hi Ted and thanks so much for stopping by and sharing your comments. I jumped at this opportunity for the Author's guest post the moment his publisher contacted me. Train travel in Europe is sublime, day or night and want to experience more of it! Hi there Leslie and thx so much for stopping by!! Yes, I can attest to EuroRail trip...they are a perfect mode of transport to see the European countryside while getting from place to place. And an overnight journey is magical!